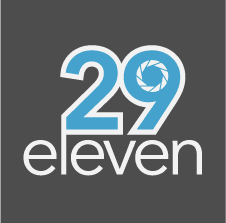 At 29eleven Productions, our expertise is fusing the tradition of beautiful weddings with modern cinematic style. Your wedding will move quickly; why remember it solely with photos? Why not make sure the motion of your day—a highlight in YOUR story—is preserved in stunning clarity, edited in a cinematic short film unique to you. A keepsake to cherish for years to come. Something…old, new, borrowed, blue. Kevin and his team are wonderful to work with. We met in person a couple times before the event and kept in contact through email as well. They made a timeline of the day and made sure everything ran smoothly so they didn't miss capturing any moment!  They are easy to talk to and work with and I would highly recommend them simply because of how great they were leading up to and on the day of the wedding. Now lets talk about the footage they captured and the amazing quality of work they produce. It takes some time to see results but once you do, it is totally worth it! We got our highlight footage (a montage they put together of highlights from the day) in just short of 4 months after the wedding. The memories and moments that were captured are hard to put into words! Not to mention the complete footage from the rest of the day and how much time goes into compiling and editing this so that it is excellent quality and comes out better than I could have hoped or imagined! Pictures are of course an important and great way to capture the day but having this video footage from Old, New, Borrowed, Blue is another piece that I will cherish forever! This is definitely an expense worth incurring for your wedding!! Above all else, I really wanted to video to capture our wedding day. It was initially a struggle to convince my fiance as it is another financial commitment. However, once we received our videos from 29eleven Productions - we knew it had been well worth it and something we'd cherish forever (and our families have greatly appreciated seeing the final product too). It's relived the memories that weren't necessarily captured by the photographs. Kevin and Laura were fantastic! They truly are cinematographers, not videographers - giving your story an artistic twist. They'll provide their professional insight but are completely flexible to your wants and desires. All our guests didn't even recognize they were there; with family not even realizing how much activity we had done until seeing the final videos. I would highly, HIGHLY recommend this company. Kevin and his staff are wonderful! Not only did they do the videography but they also did a same day edit which they showed at the reception. It turned out better than my husband and I could ever imagine! The quality is fantastic. We still get compliments from our guest on how truly amazing our same day edit was. They were also really respectful of our space and understand that everything always doesn't go according to plan. I was married on the hottest day of the year with not only a lot of changes but they also dealt with the heat to make sure the video was perfect. They truly surpassed our expectations! I would definitely recommend using Kevin and his team!